Rock Supergroup – Bad Company & one of the greatest guitarists of all time – Joe Walsh are coming to DTE Energy Music Theatre on Wednesday 22nd June 2016! Both acts are back on the road, since their classic rock success back in the 1970's, Bad Company have become a staple to see live, as they bring fans that nostalgic feeling of when the era first began and tracks such as; "Can't Get Enough", "Good Lovin' Gone Bad", and "Feel Like Makin' Love" were first hitting the radio! Join them both, it's going to be one hell of a night! 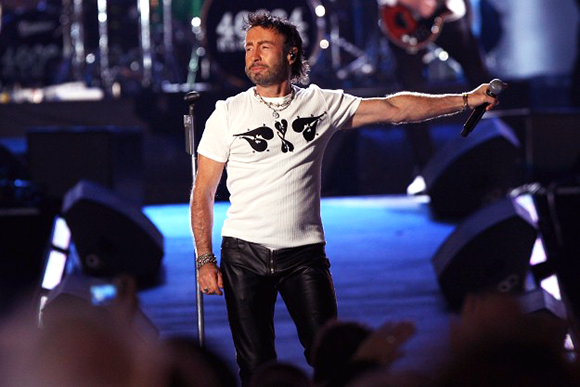 Bad Company are one of the classic rock n roll super groups, formed in London in the early 1970's. Members include; Lead vocalist Paul Rodgers, drummer Simon Kirke, guitarist Mick Ralphs and King Crimson, bassist Boz Burrell. Managed by the same guy behind the legendary Led Zeppelin, Bad Company gained great success from their first three albums, Bad Company released in 1974, Straight Shooter in 1975, and Run With the Pack in 1976, all of these iconic records smashed the charts in the top five position in the US and the UK and gave them the recognition they had been waiting for.